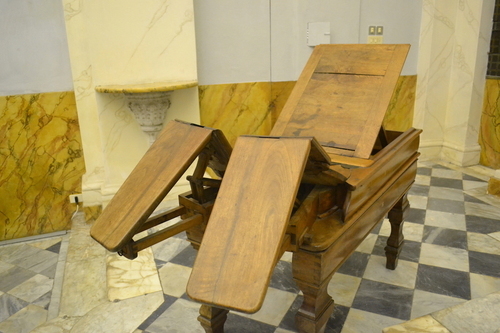 This Obstetric Bed is kept in the Medical Equipment Museum of Siena. It dates back to 1850 and it is made of wood. Thanks to its inner working, the equipment was considered really innovative for its time. In fact, the bed's peculiarity was the possibility to modify the position of its seatback and of the legs-restraint while the woman was on it. This feature was really important because if the need arose, the surgeon could operate promptly with a lower risk of complications. Courtesy of Dr. Davide Orsini, director of the SIMUS. - D. Orsini, F. Sacchetti. 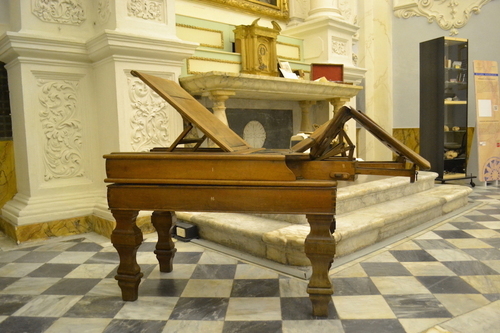 Tavolo operatorio-ostetrico-ginecologico dell’Ospedale Santa Maria della Croce di Montalcino, scheda di catalogo, in Il corpo e l’anima. I luoghi e le opere della cura ospedaliera in Toscana dal XIV al XIX secolo, Pacini editore, Pisa, 2014, pp. 110-111.